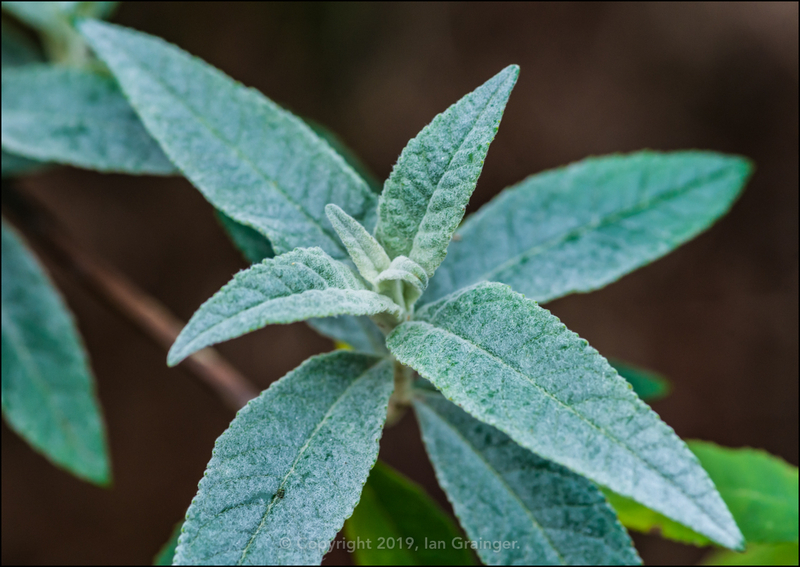 It was a really drab and dreary grey day again for my photo shoot in dad's garden this week, but instead of the calmness of recent weeks, it was also really rather windy. 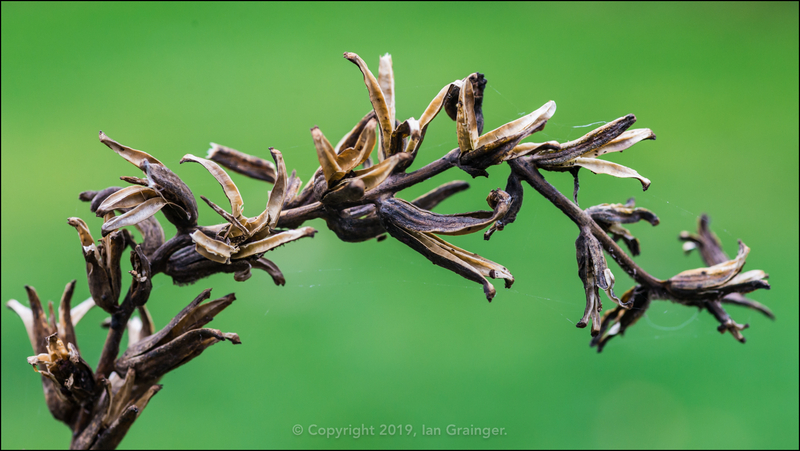 A windy environment always makes macro photography quite tricky, but combined with the darkness of the day resulting from the heavy cloud laden sky, the task was made even trickier. 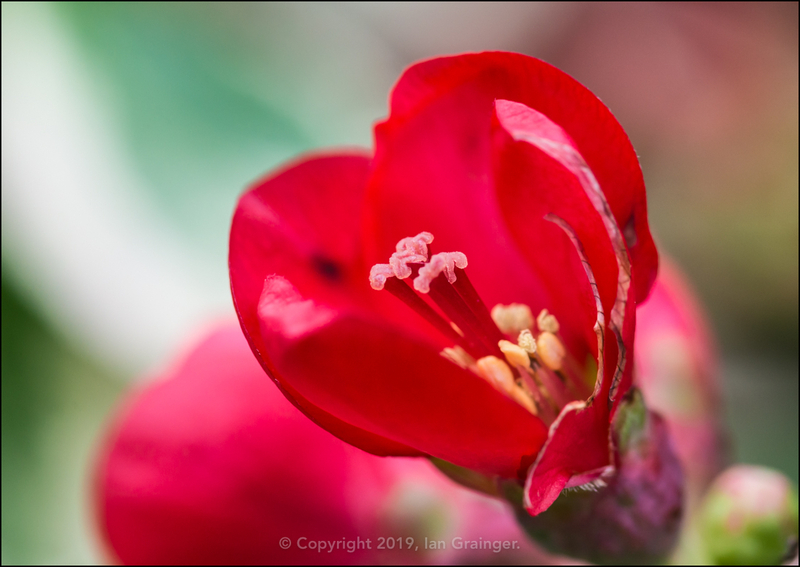 Still, I persevered, and managed to grab a few images using a higher than usual ISO, a little bit of fill in flash, and a lot of patience while waiting for my subjects to stop swaying around! 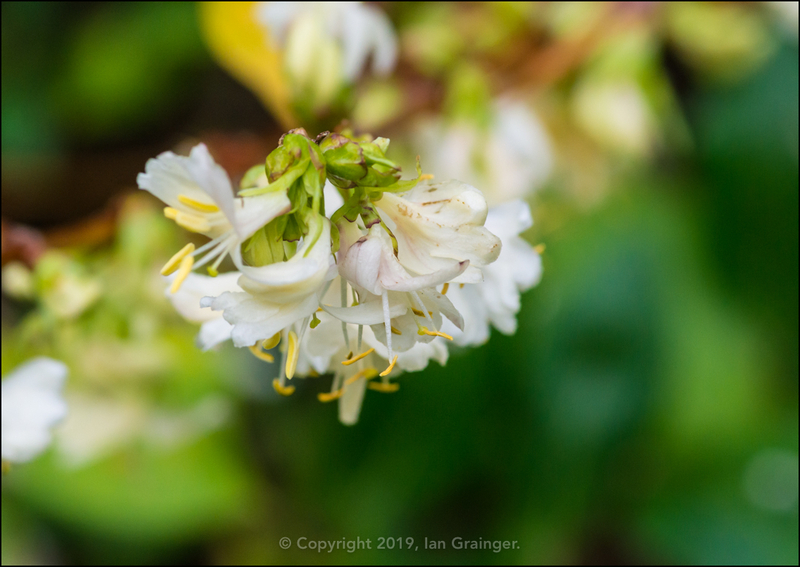 My first port of call was the Winter Honeysuckle (Lonicera fragrantissima) bush, which was really starting to put on a good display, and smelled wonderful too. 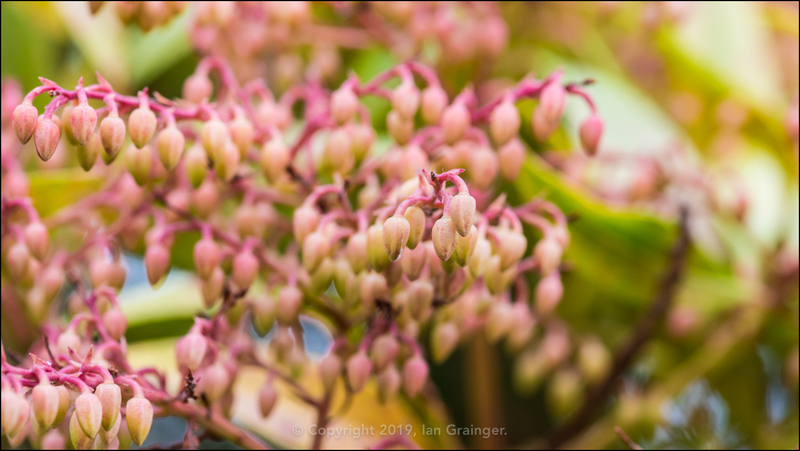 Next up was the Forest Flame (Pieris) bush, which was absolutely covered in masses of flower buds. 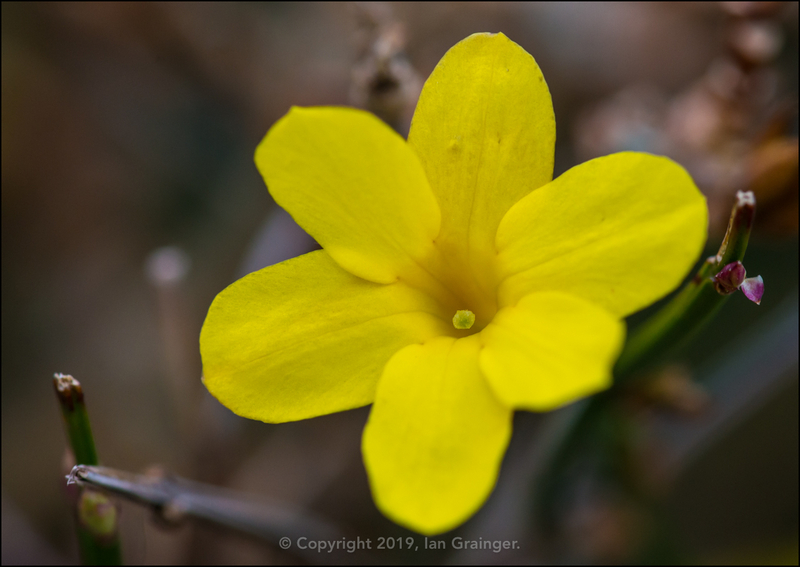 The Winter Jasmine (Jasminum nudiflorum) flowers continued to brighten up the place, but were still a bit thin on the ground. 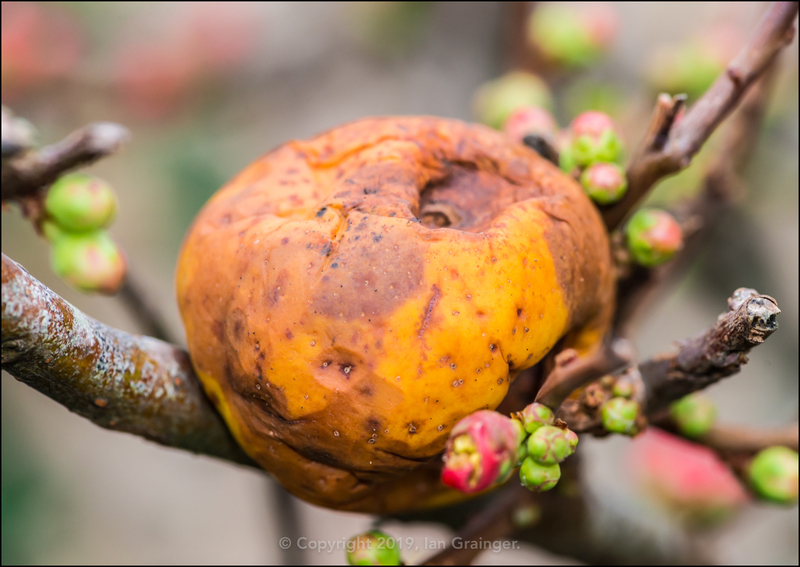 ...while last year's fruit began to decay. 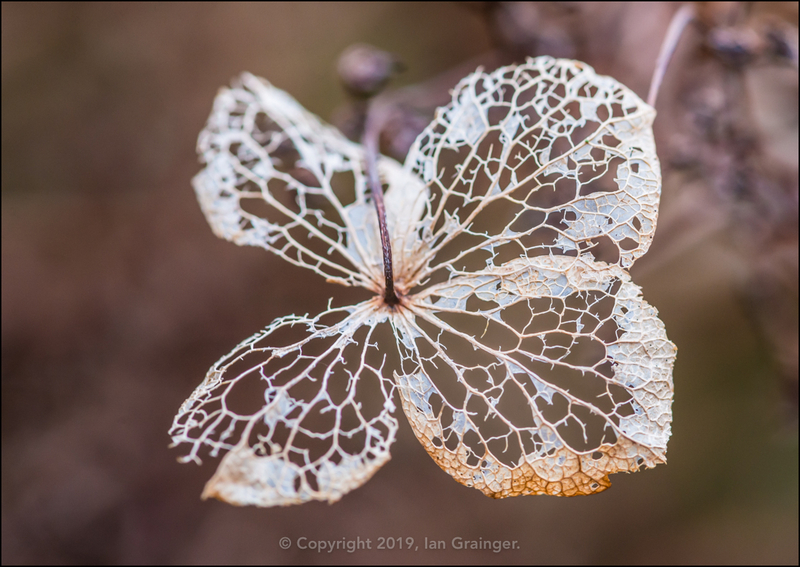 Also decaying, but in a much more pretty way, were the bracts of the Climbing Hydrangea (Hydrangea anomala) bushes. I loved the way they turned into this skeletal lacework type of pattern. 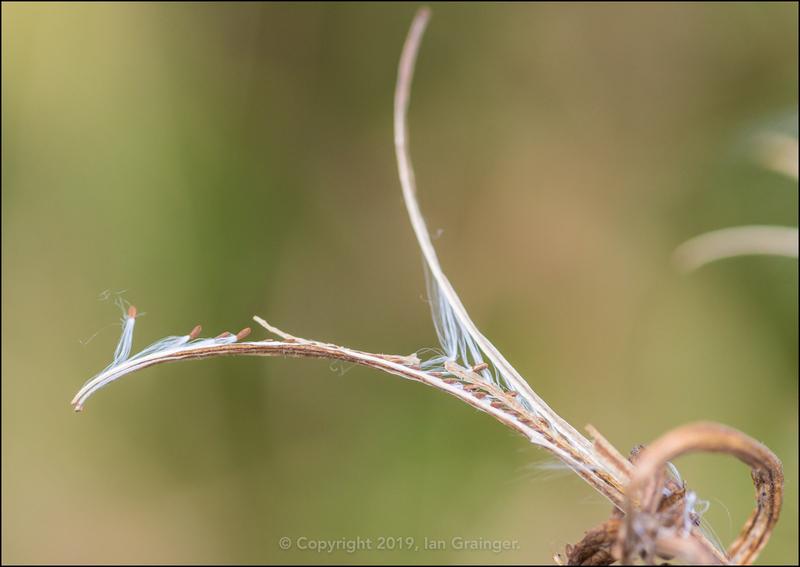 I was quite surprised to see that the Great Willowherb (Epilobium hirsutum) plants were still dispersing seeds, as they've normally completely died off by now. The Evening Primroses (Oenothera biennis), on the other hand, were always still standing at this time of year, and were a great source of food for the Greenfinches and Goldfinches. 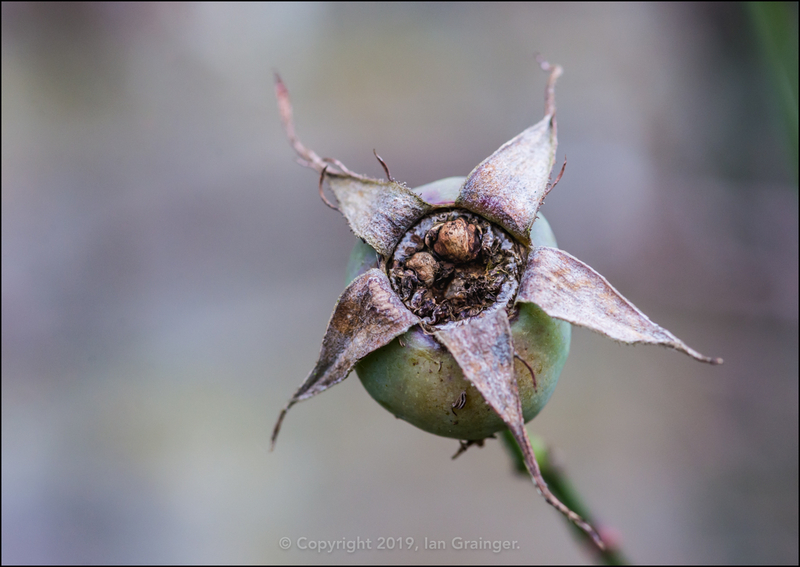 The Peace Rose (Rosa) had completed flowering long ago, and all that was left of their beautiful yellow flowers were the Rosehips. 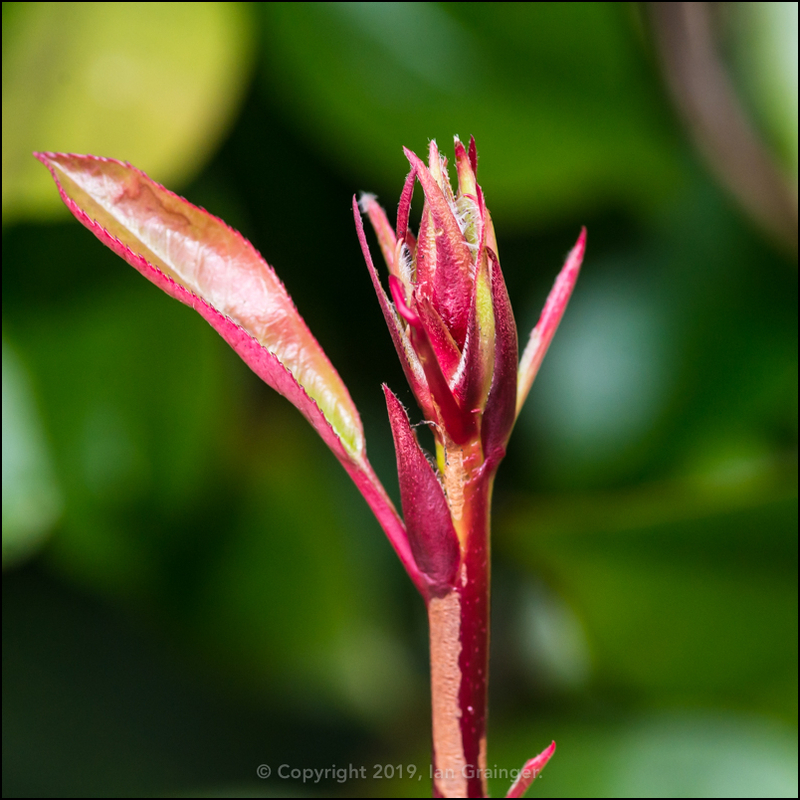 ...and the Red Robin (Photinia fraseri) bushes. 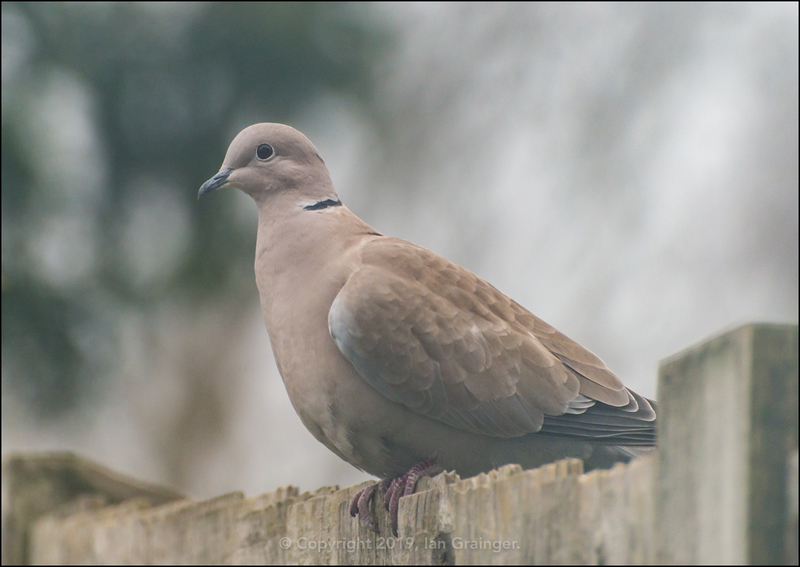 Over in my own garden, I had a friendly little Collared Dove (Streptopelia decaocto) come by for a visit. He apparently liked the peanuts I put out on my garden table. In fishy news, I have some new wet pets! These little beauties are Salt and Pepper Catfish (Corydoras habrosus). 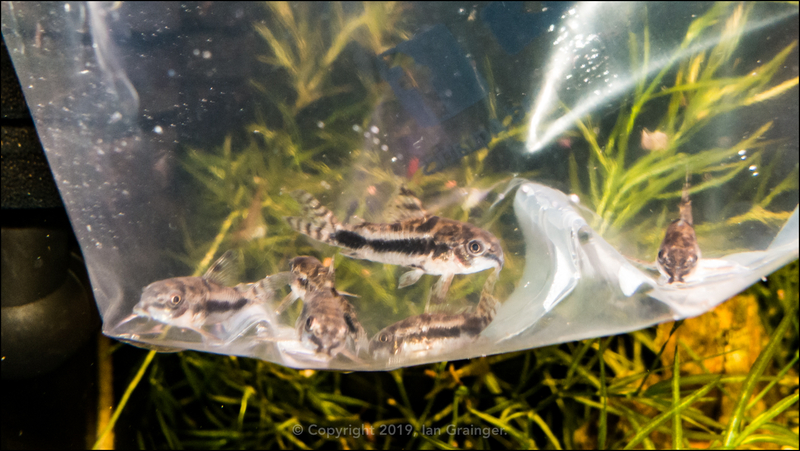 The picture was taken while they were being acclimatised to their new home, so was taken through the aquarium glass and the plastic bag they were transported in, so apologies for the poor quality. They really are cute little things, and will attain a maximum size of only 3.5cm, so I hope to increase their school size to about twelve eventually.